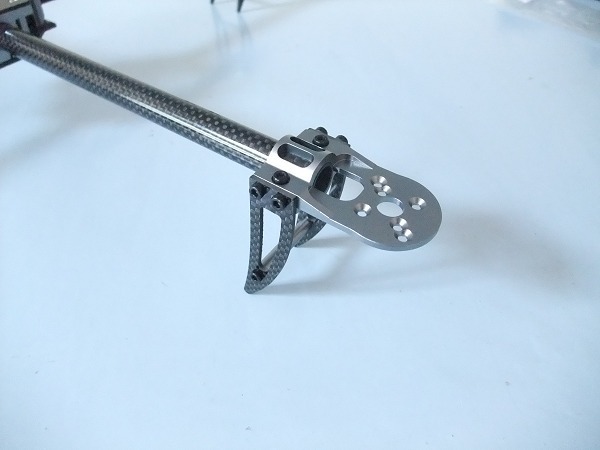 The original frame for our QuadCopter was made from 1/4 inch aluminium tubing riveted to 2 peices of aluminium plate and had a span of 21 inches. While this worked well, we wanted something a bit more stylish for the rebuild, so an off the shelf frame made from carbon fibre was called for. 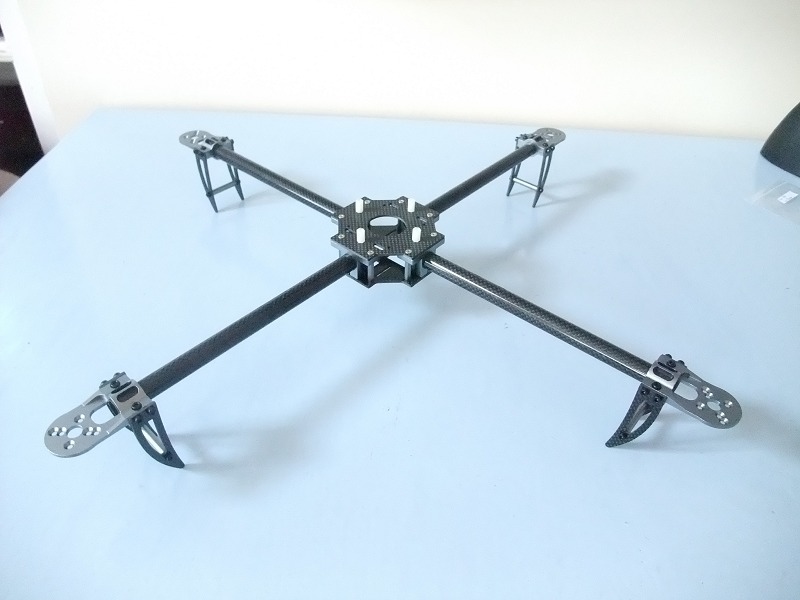 The frame we chose was the Turnigy Talon V2 which is very similar in size to our home made frame, but considerably more rigid. 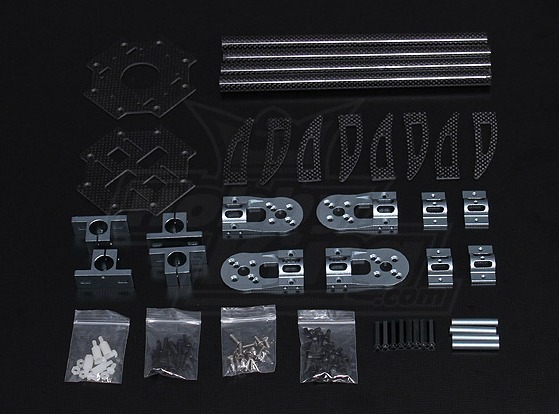 The Turnigy Talon 2 frame comes in a surprisingly small box with all the parts needed. Assembly is relatively straightforward once you have worked out which screws go where. Turnigy Talon Frame fully assembled. Talon Arm and Motor Mounts. You may notice that the motor mounts are on upside down. I.e. the countersunk part of the screw holes should be underneath. That is true, but it just looks better the way we have it.